Beautiful modern classic bedroom bench that combines modern lines with traditional details. 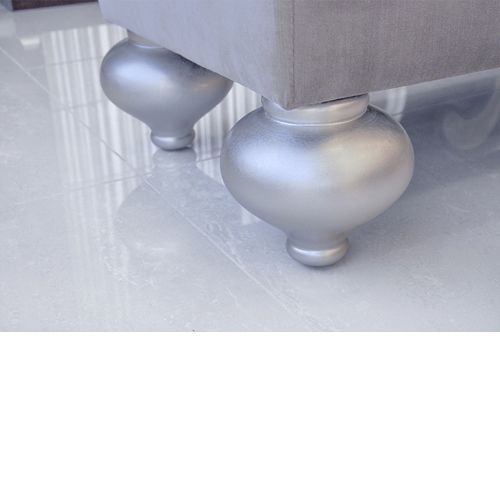 Features enlarged spindle wood legs in gold or silver leafing finish. 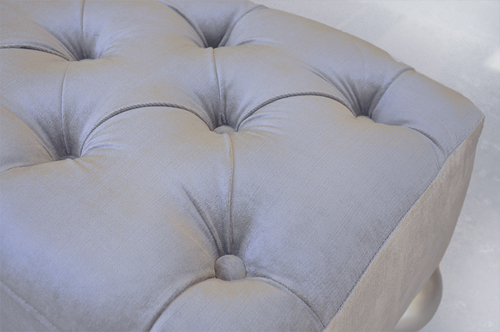 Covered in tufted velvety plush chenille. 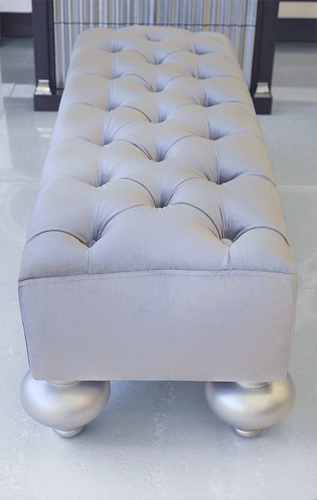 Perfect for the end of the bed, hallway or anywhere you need additional seating. Foam and fiber filling. Turning your bedroom into a relaxing boudoir will be effortless with the Devereaux modern bed bench.